Rachael Ray’s 30 Minute Meals reboot will air on the Food Network, starting April 1, at 12 p.m. ET. Rachael will host one episode, every day in the month of April, for a total of 30 new episodes. The twist? This reboot is not only being aired on the Food Network, but also on the Food NetworkTVE, their Facebook, and across other social media platforms. 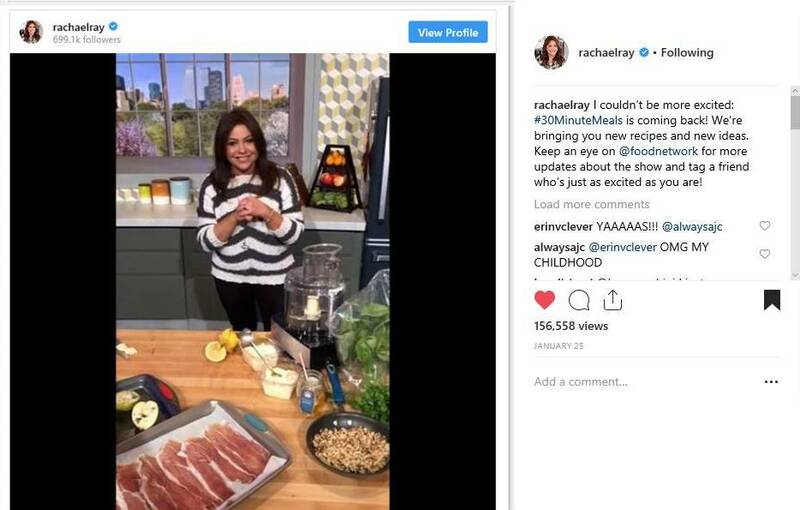 Fans can tune in and also log on to social media to watch Rachael demonstrate her characteristic tips and great 30-minute meals. America's sweetheart cook, Rachael Ray brought her 30 Minute Meals to Food Network from 2001-2012. Her infectious smile, husky laugh, self-deprecating humor, kitchen tips, and now-household sayings -- such as "EVOO" (Extra Virgin Olive Oil) -- warmed her way into our homes. She made us realize a great meal in 30 minutes or less was indeed doable. This whole package caught the attention of Oprah Winfrey, when Rachael appeared on her show on May 9, 2005. 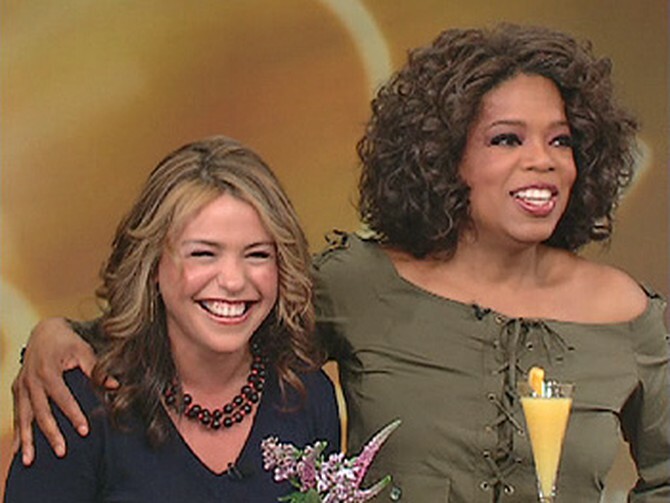 Upon meeting Rachael on that episode, Oprah said she knew Rachael was "The Real Deal;" therefore, it didn’t come as a surprise after her appearance on the Oprah Winfrey Show that Rachael was transformed from a celebrity chef, Food Network star, and serial cookbook author, into a global brand. Her own syndicated daytime show, Rachael Ray Show, launched in the fall of 2006. 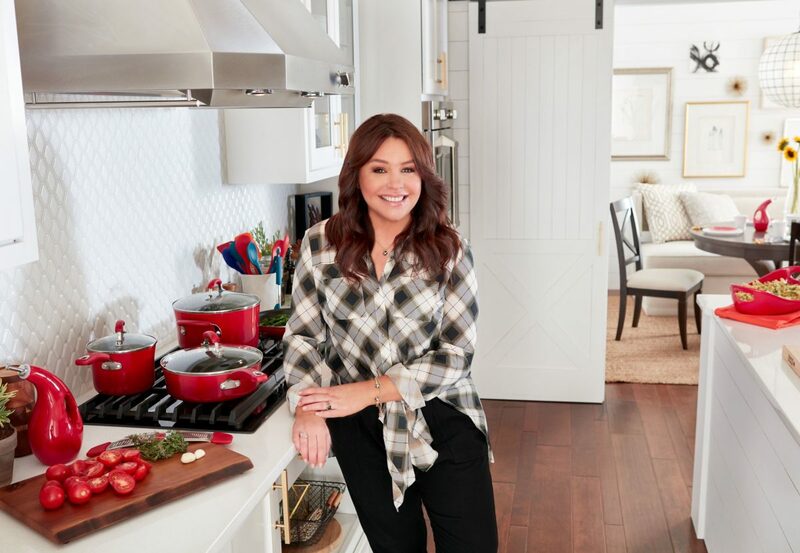 Since then, Rachael Ray has warmed her way into oh, so many more millions of homes on a daily basis -- and the rest is history. It's funny how many little things there are that I do when cooking that, in retrospect, I realize I learned from Rachael and the OG 30 Minute Meals. For instance, "wipe mushrooms with a paper towel just before using them; never rinse them." Rachael recommended this tip countless times on her show. What are some of the original tips, sayings, or recipes you learned from the OG 30 Minute Meals? I’d love to hear them! Will you be watching the reboot? Leave a comment below! Looking for an easy roast beef recipe? Try this one!